For some of us Spring Break is here, or just around the corner. It is a much needed break from school for children to have fun, and parents to spend quality family time together. If you don't have a trip planned to leave home, it might be a bit stressful figuring out what activities you can come up with to fill the time. We are sharing a few ideas that will keep the entire family having fun all week! Take a trip to your public library. Fun for all ages, every child will find a book they will love! Sign them up for a library card, and borrow a few books they are interested in. Check out enough books for the week to read each night at bedtime. Visit your local museum to add a little history to your staycation! Whether you're visiting a museum about art, science, health or even a children's museum, your child will love exploring and learning something new! Tip: Most museums have "free days". Check to see if your local museum offers this. Plan a picnic in the park! Include your child in every step of the day. Have them pick out the food to pack in the basket! They will love giving their input and being included. When you are finished eating, you can spend the day playing games or going down the slide at the park. Have a day staying at home! Gather pillows and blankets to make a magical fortress filled with toys and books. They will have a blast creating their own cozy corner! Spend the day curled up on the couch having a movie marathon! You can never go wrong with a great movie and tasty snacks! Spring Break is a busy time for festivals and events! Check your local city's page for information on local activities that might be happening near you. From sing-along concerts with childhood characters, festivals or farmer's markets there is something going on that the entire family will enjoy! Having a staycation during Spring Break can be so rewarding and also so much fun! Enjoy spending time as a family, creating new memories together all week long. 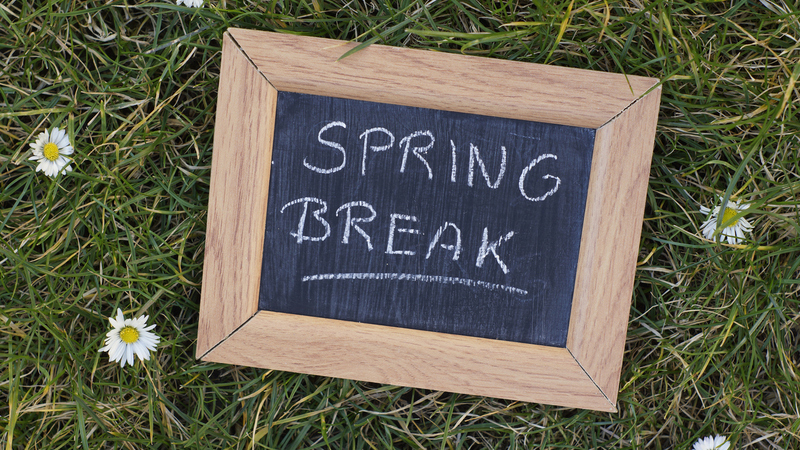 We want to know what plans do you have for Spring Break? If you are having a staycation, what items do you have on your activity list? Share Check out our Little Brushes events!